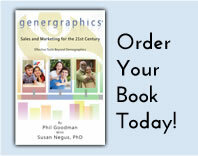 Genergraphics' has developed media programs for our clients that combine the power of radio in reaching the Boomer and Gen X markets with the far reaching benefits of social media. the following is an example of a recommended program for the Hospitality industry. website. Also send an E-blast to previous guests, informing them of the radio offer. radio stations in the markets you are advertising in. is that you would only advertise on Boomer and Gen-X radio stations. assure that you are reaching the mindset of each generation separately. keep them "at the top" of your network page. fan response. This should continue regularly until the special offer expires. especially true if they stayed at your property. exposure in your key feeder markets. exposure in each of your markets until your offer expires.